Peaches & Cream screams summer to me. Sitting on a hot beach, with an iced drink listening to the splashing water- bliss! 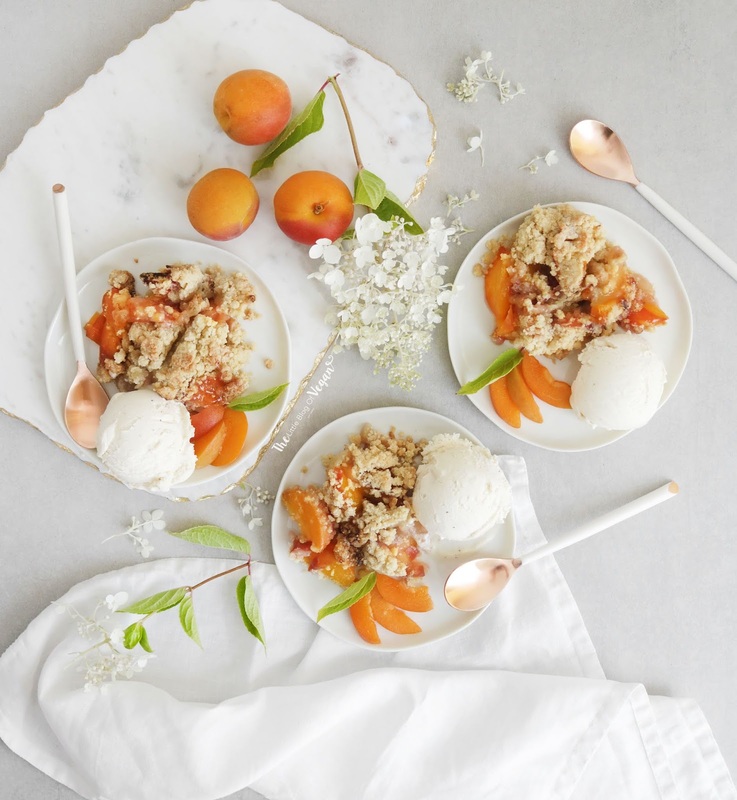 I had a batch of peaches at home and a craving for something sweet, so I came up with this divine peaches & cream crumble, served with dairy-free ice cream and peach slices. Not only delicious but very pretty too! 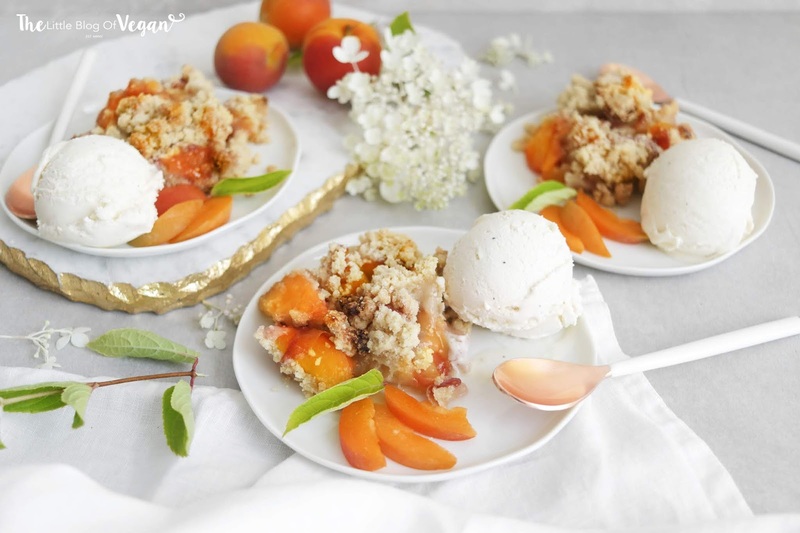 This crumble is quick & easy to make, perfect for a garden party, special occasion or as a filling dessert. 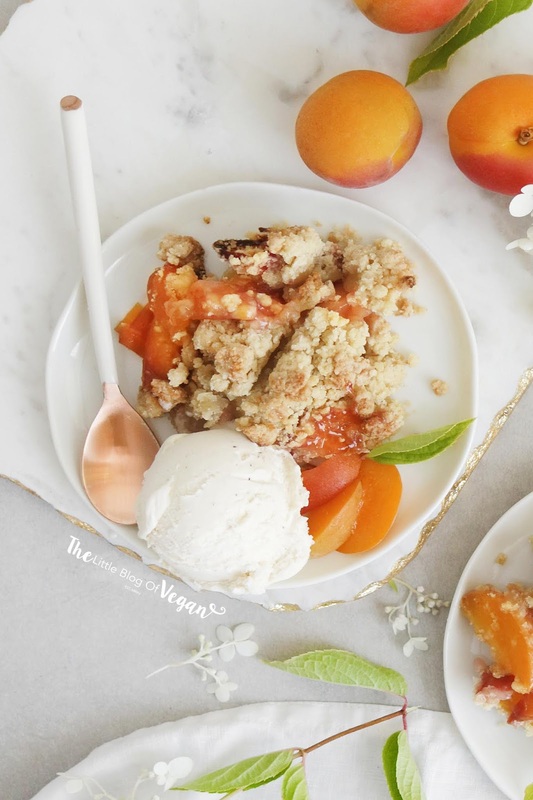 It's filled with soft peaches, a crisp & chewy crumble....whats not to love?! I'm sure everyone will go crazy for this dessert. Why not serve it up with some dairy-free ice cream, vegan cream, coconut whip, dairy-free custard, caramel drizzle... the variety is endless! 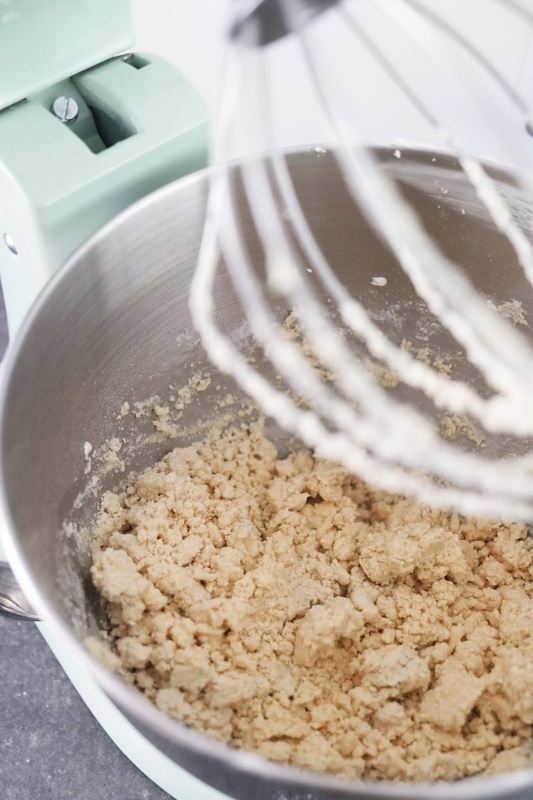 Step 1- In a large mixing bowl, cream the butter and sugar together until creamy. I use my stand mixer with a balloon whisk attachment. Step 2- Add in the flour and with clean hands, rub everything together with your fingertips until crumb-like. Step 1- Preheat the oven to 190 degrees c.
Step 2- Wash, de-stone and slice the peaches and place them into a large mixing bowl. Step 3- Add in the lemon juice, lemon zest, golden caster sugar, ground cinnamon and corn flour/starch. Mix to combine until everything is coated. 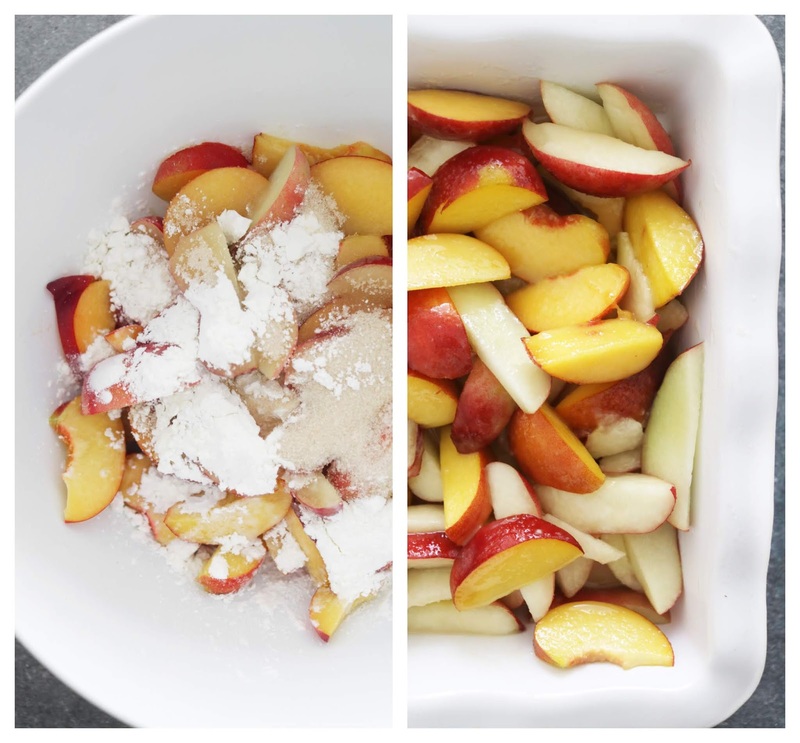 Step 4- Place the peach mixture into a pie dish and sprinkle over the crumble. Step 5- Carefully pop the dish into the oven and allow to bake for 40-60 minutes or until the top begins to turn golden brown. Step 6- Serve hot or cold with dairy-free ice-cream or custard! You can even enjoy this crumble with some fresh berries, for extra flavour & added colour. Best enjoyed, day or making. Its very interesting blog, love the way you wrote it. Don’t be tensed, if you are thinking why My Roadrunner Email Is Not Working, call our toll free helpline +1-888-338-6033. Thank you for sharing such a great article! I found your website is perfect for my needs. It contains wonderful and helpful posts. Looks so delicious and perfect for the summer!